Windsor, VT: Mother’s Day was first celebrated in 1910 as a day to pay tribute to mothers,both living and deceased. The holiday was spearheaded by Anna Marie Jarvis, whose mother was a model of strength, independence, and benevolence. 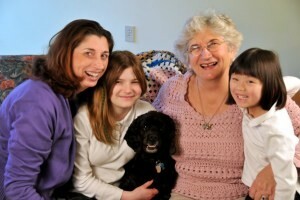 The holiday continues today to provide an opportunity for children to cherish their mothers. It is also an opportunity to recognize mothers who nurture communities that stretch far beyond the family circle—mothers like Windsor’s own Mary Louise Sayles. A Windsor resident of nearly 30 years and a recently recognized Super Senior by WCAX, Mary Louise began her journey into motherhood in 1959 with the birth of her first daughter, Maria. Since then, she gave birth to two more daughters and transformed a derelict one-building nursing home into a continuing care community that enables seniors to age comfortably in place and offers a range of work and career opportunities to Windsor community members. In 1988, Mary Louise Sayles, now a single, middle-aged mother with three adult girls, was following her career path as a nursing home administrator at Sullivan County Nursing Home in Unity, New Hampshire. At the suggestion of a friend, Mary Louise and her colleague, Judith Brogren, crossed the Connecticut River into Windsor, VT, to look at an old 31-bed nursing home called Cedar Manor. The building was run down but the property was ideal, with 8 acres of land and a 4-acre buffer along the east side of the river. 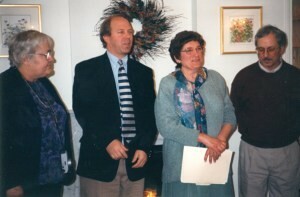 The idea of the continuing care community, where seniors could age in place, was just beginning to take hold and Mary Louise learned a lot about the concept from her eldest daughter, Maria Horn, a social worker and also a licensed nursing home administrator who was working with one of the early pioneers in assisted living, William Gilmore, in Exeter, NH. Mary Louise and Judith had no money to speak of so they scraped together every cent they had and requested a small business administration loan, which they were granted. They moved onto the property to live in a comfortable mobile home as they set to work fixin g up the original building and planning the building projects that would complete their dream. Winston Churchill once said that “the empires of the future are empires of the mind.” For Mary Louise Sayles and Judith, the empire they held in their mind – of a continuing care community that provided encouragement and support to seniors, enabling them to live with dignity and maximize their personal potential – was the guiding light that pushed them forward. 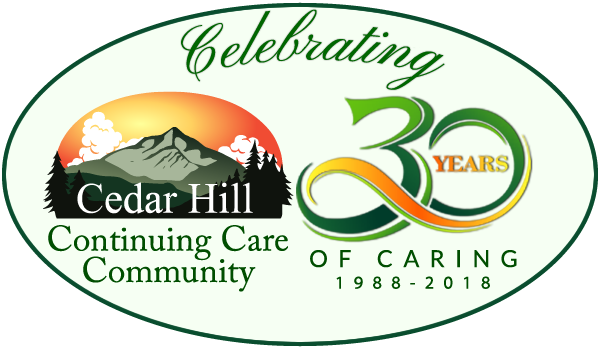 Within an eleven-year period, Mary Louise and Judith realized their dreams – they renovated the original home (Victorian House) upgrading it to a level-3 residential home, where they care for frail and chronically ill elderly residents who need support services and assistance with activities of daily living; They constructed Cedar Hill Health Care, a skilled nursing facility that included Teddy’s Place, a dedicated wing for memory care; and in 1999, they built the Village at Cedar Hill with 20 apartments for independent and assisted living. 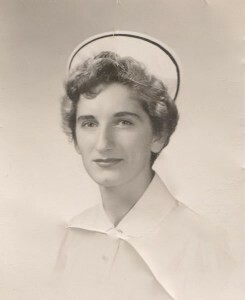 After Judith Brogren retired in 2005, Patricia left a career in journalism to join her mother as a licensed nursing home administrator. 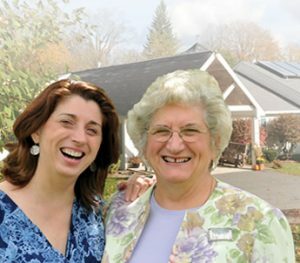 Together, Mary Louise and her daughter expanded the vision further, building a $10.4 million addition to their independent and assisted living neighborhood with a secure state-of-the-art memory care center, which opened in early 2015. They dedicated the project to Mary Louise’s daughter Maria, who lost her life to cancer in 2004. The Judith Brogren Memory Care Center was dedicated to Judith, who passed away in 2013.